Black vegan suede creeper shoes with 2 inch platform and d ring Lace up. These are our most popular vegan creeper shoes. They are comfortable and stylish for a basic black creeper shoe. They look great and are not too tall. 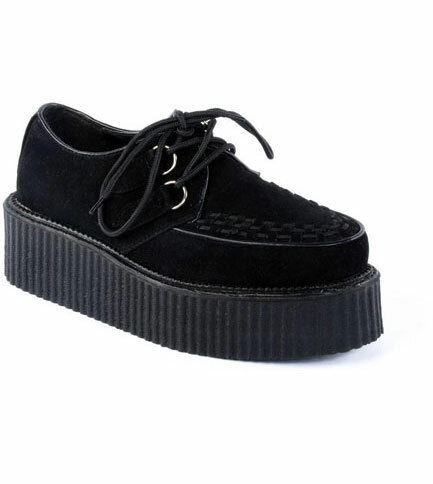 If you are new to creepers these are the ones to try. Got these shoes a few weeks ago, shipping was super fast and the creepers are perfect. Would defiantly recommend buying them from Rivethead.